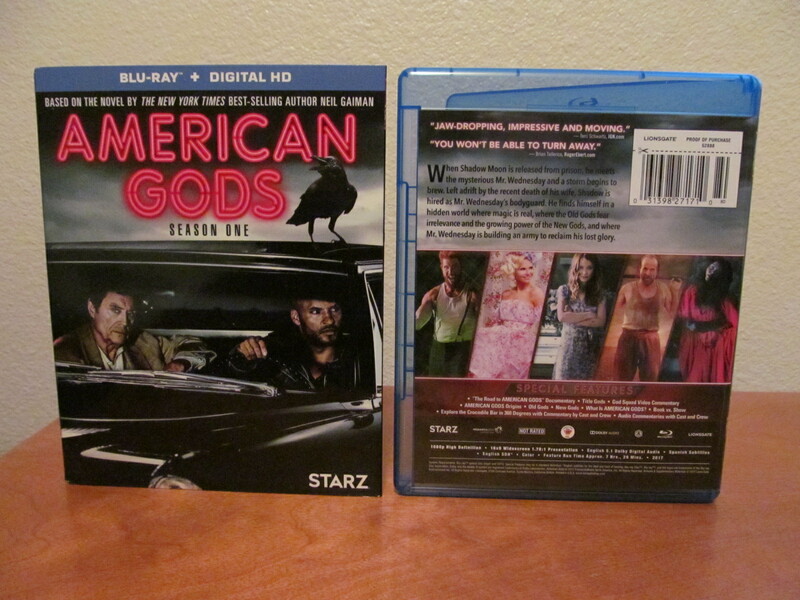 American Gods Season One (2017) from Starz and Lionsgate has been released on a 3 disc Blu-ray set with Digital HD. It is based on the popular book series written by Neil Gaiman (Coraline, MirrorMask, Sandman). Is it worth checking out or should you be an unbeliever? Read on to find out. I read the American Gods novel about 15 years ago and while I remember liking it I don’t remember too many details from the book. I do think the structure of the storytelling of the book is different from how the show presents itself. The dialogue seems very simplified compared to it as well. However, considering almost anything based on the book is fairly different from it’s source material, I will try to keep them separate from each other. 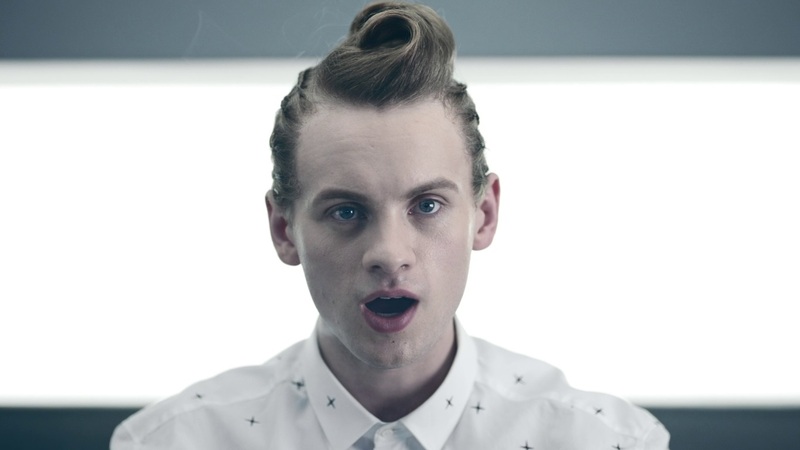 The series is run by Bryan Fuller (Hannibal, Star Trek: Discovery) and Michael Green (Green Lantern, Logan, Blade Runner 2049). The story kicks off by focusing on a convict named Shadow Moon played by Ricky Whittle. He is released from prison for good behavior but before he gets home a tragedy strikes. Shadow doesn’t have a job or any place to really go. A mysterious stranger named Mr. Wednesday played by Ian McShane comes into Shadow’s life and starts revealing a whole different world to him. I won’t spoil where the story is going but if you know how to read or put two images together when edited back to back then you will figure it out really quickly. 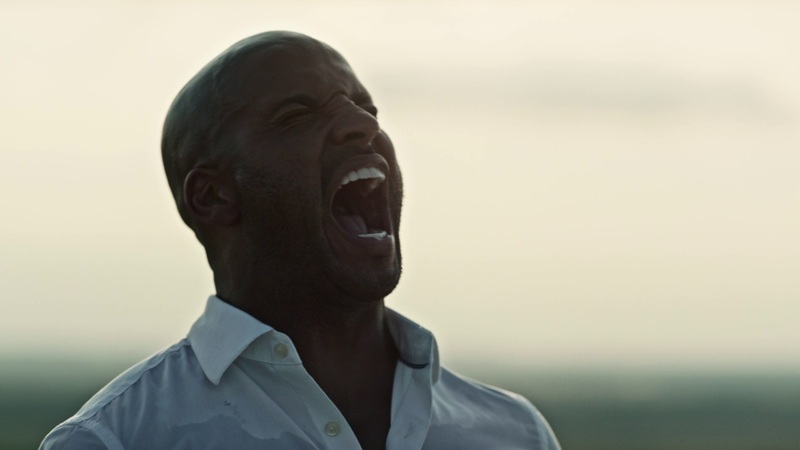 American Gods Season One looks good enough, I am not sure of the budget but it is shot well and it is highly stylized. Some of the special effects are unfortunately laughably bad but the overall feel of the show is more light and jovial so it doesn’t take too bad of a hit when it does it. At least I hope it’s not going for a dark story line, because if so, it’s not pulling it off well. Depending on how familiar you are with the material the show sort of takes awhile to get going. I think the lead actor playing Shadow is not really that interesting and mails in his performances. The side characters/actors of the show is where the fun is. 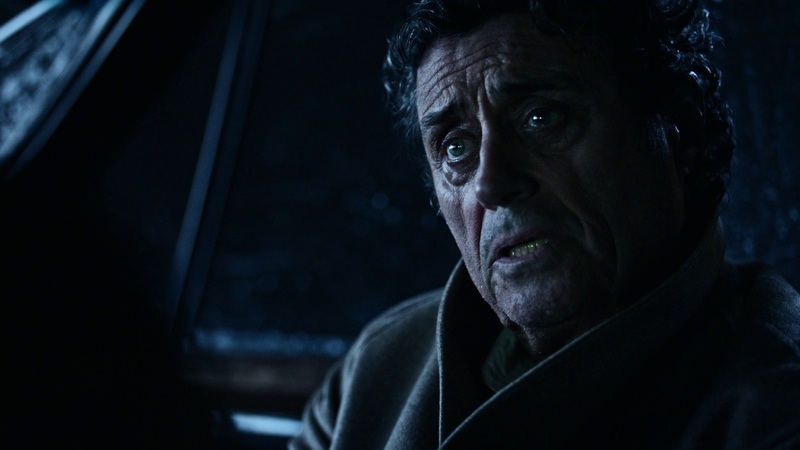 Not only is Ian McShane a fun character to follow around, we also have Crispin Glover, Gillian Anderson, Cloris Leachman, Orlando Jones, Peter Stormare and Corbin Bernsen appearing. Honestly I could go for a whole show just based on the Old Gods hanging out and being mysterious. 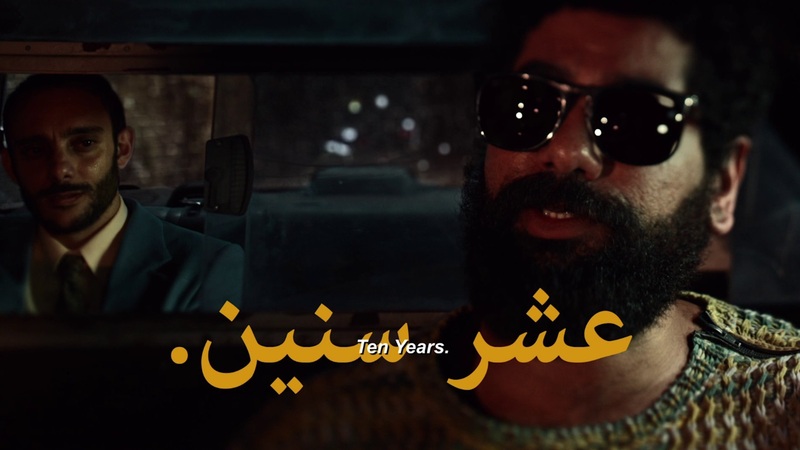 The series is 8 episodes long, running less than one hour each episode. Quite a bit of this first season is character introductions and establishing the world. 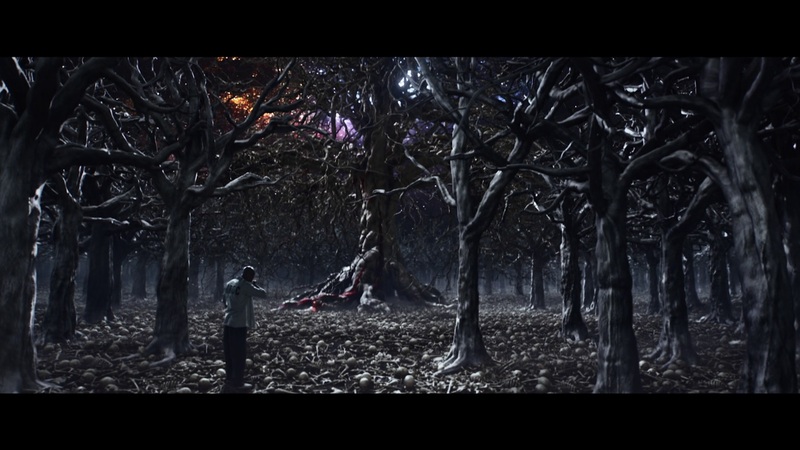 I’d consider the genre to be dramatic fantasy, although there are a couple action scenes here and there. There are some really great blood splatter effects in this. 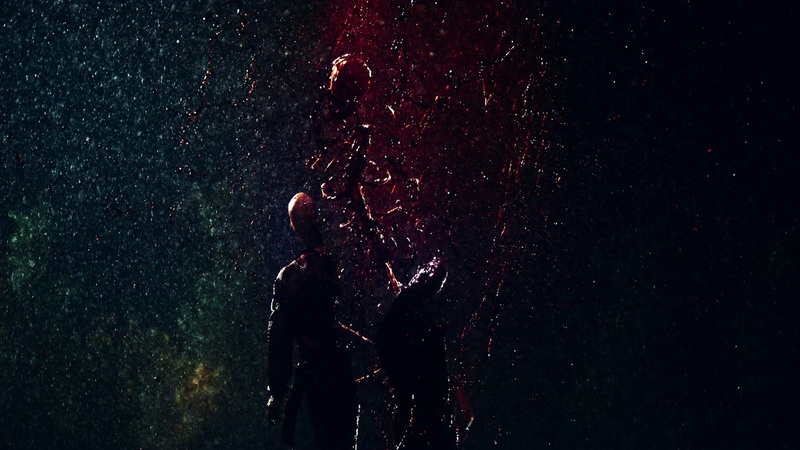 Parts of the show are filmed dream-like or surreal and will remind viewers of the same look as the Hannibal TV series. 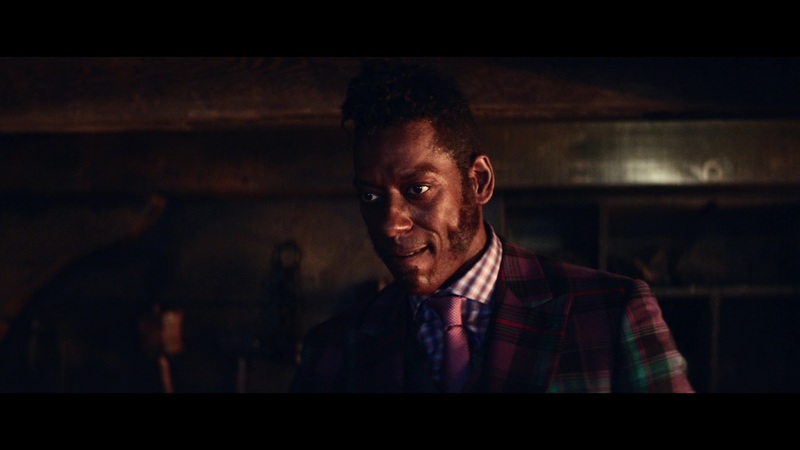 I think a few viewers will consider American Gods to be too much style over substance. It plays either a bit underdeveloped with interesting characters or too slow of a burn with secondary elements to the story taking large chunks of screen time. The main guy is not interesting at all and is a bit of a lunkhead. The whole “a storm is coming” story line has been done to death in the last decade as well. The show has been renewed for a second season so maybe they just needed a few episodes to get going. 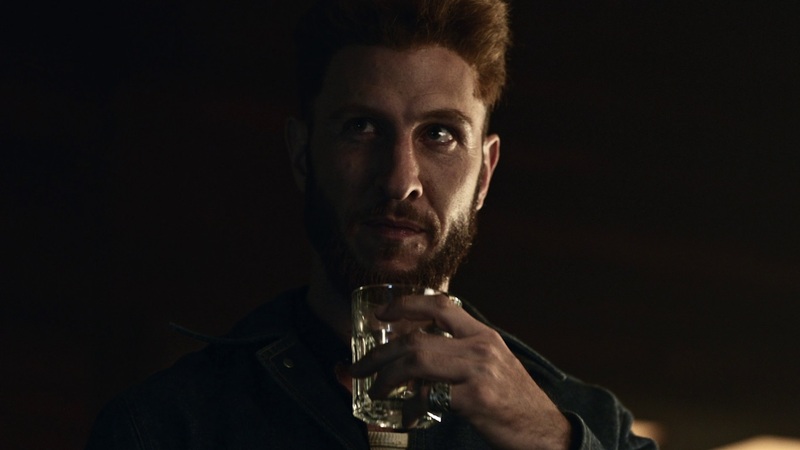 American Gods is the kind of show that within the first couple episodes you will know whether you will like it or not as it stays pretty consistent in quality. The characters are pretty one dimensional and the story is fairly schlocky. 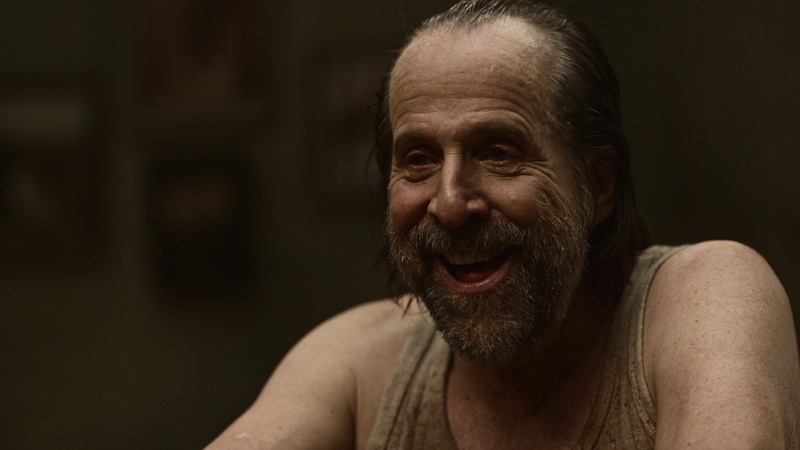 I think if you don’t take American Gods too seriously then you can have fun with it. Huge fans of the book will probably be disappointed in the dumbed down additions to the plot. Fans of surface level mythology and trapper keeper art from the 80’s should have a blast. If you’ve already watched the show and like it, the Blu-ray is worth picking up for the special features. 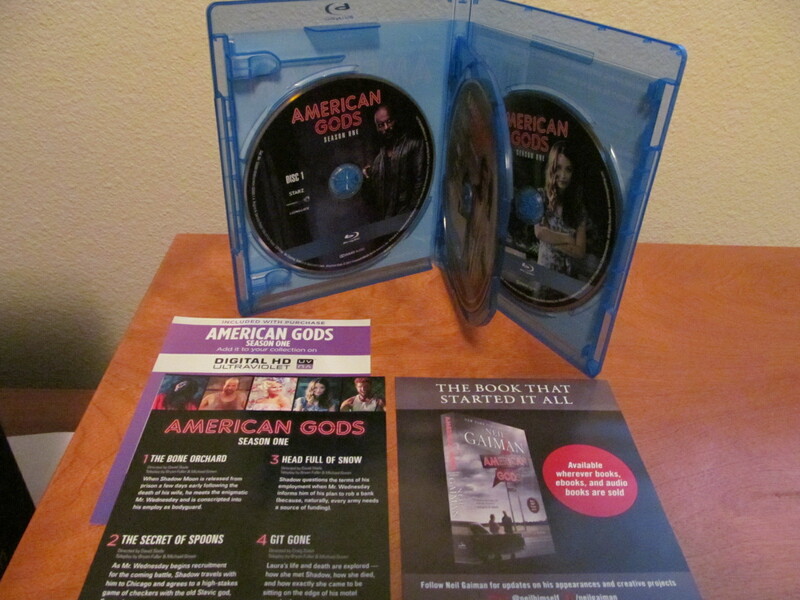 American Gods Season One on Blu-ray is available at Amazon and other fine retailers.